Hello Friends! 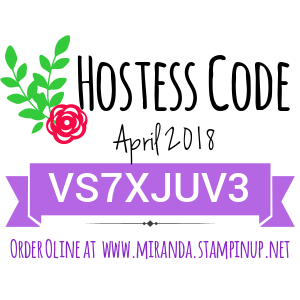 !, here I am sharing another quick and easy card using the hedgehugs stamp set!! I love the critters on this stamp set! they all are so cute!!! don't you think? I am using the Eastern Palace designer series paper (DSP), as soon we will be getting a new catalog from Stampin' Up! and that means that I will want to get the newest designer series paper being released, so I am really trying my best to use all the designer series paper I have from this catalog so I don't feel guilty as I indulge myself and get the new DSP!! Also, just recently, as in last month, ha ha, I watched a fellow demonstrator from Australia talking about her "love it, chop it" program, which I think it is genius!! and on this program she talks about chopping the paper packs as soon as you get it as you will end up using it more in your projects!! I, myself gotta confess, am guilty of charge hoarding the beautiful paper that Stampin' Up! offers!! seriously, I have so much paper, and this year I decided to start using it.. It sure will look nicer in the cards I make than locked up in my bins, don't you think? and I am sure people will get to appreciate it more if I share it on the cards that I mail?? so this year I am allowing myself to spend all my DSP, and use it more and more..
For my project itself, I stamped the squirrel in soft suede ink, and then colored it with the crumb cake blends, and of course I added cheeks to this little critter to add a little personality.. I also added some grass with the old olive blends. For embellishment I added the a little bow using the sheer ribbon in fresh fig to the corner of the card. You can watch the video tutorial below where I go over the colors I used as well as measurements, I am sure you will enjoy how simple this is and how easy it is to recreate.